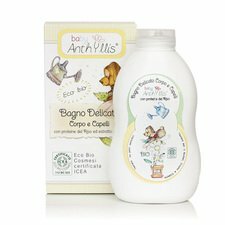 Baby Anthyllis is a line of Pierpaoli company that since 2008 has opted exclusively for eco-organic productions. This line is dedicated to child's natural hygiene and detergency but also to the environment and the objects with which it comes in contact using ingredients from organic farming and fair trade. The products are tested for the baby's sensitive skin, are certified ICEA "Eco Bio Cleaners" and are not tested on animals. 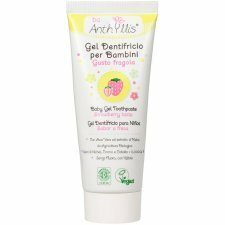 Baby gel toothpaste with strawberry taste. Specific toothpaste for baby's teeth with a low level of abrasiveness. It helps to prevent tooth decay and ensures the hygiene of the oral cavity. Ita contains organic Aloe Vera and a Mallow extract with thei well known soothing and calming properties. Thanks to its strawberry flavour, it also helps children to take care of their oral hygiene in a pleasant and natural way. Made in Italy by Pierpaoli. 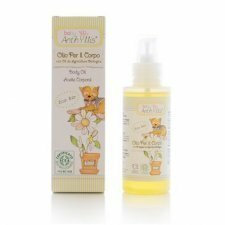 Body oil with organic oils from plant origin. 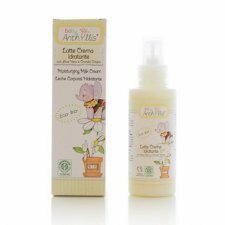 Lenitive treatment, suitable and indicated for the babies skin cleaning and massage or for expecially sensitive skins. It favours the moisturisation and protection of the skin. Delicate Bath-Body and Hair with Rice proteins from Organic Farming and Hibiscurs extract. Specific detergent for the hygiene of the delicate skin and hair of babies and children, based on surfactants from organic farming and enriched by the presense of Rice proteins and Hibiscus extract. 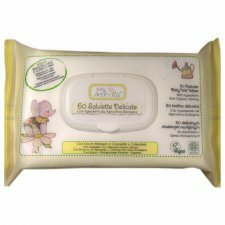 The gentle wipes Baby Anthyllis Moisturizing wipes for diaper change and the general hygiene of the child are required by his sensitive skin as they contain extracts of Chamomile, Calendula and Glycerin from organic farming that give emollient and soothing properties and allow a delicate cleansing. The wipes are made of soft natural viscose, biodegradable and compostable. Moisturizing milk cream with Aloe Vera e Chrondus Crispus, A mixture of soothing milk cream with extremely pure vegetal extracts: Organic Aloe Vera and Chrondus Crispus. A moisturinwing and anti-redness formula for the daily treatment of the sensitive skin like the bay ones. It alleviates and prevents skin rubefaction and irritations. 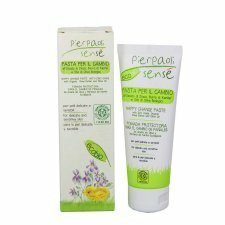 Protective paste for nappy change that thanks to the presence of zinc oxide and other natural extracts such as oats and Bisabolol is irritated skin and reddened lenendola and moisturizing. The rich composition of dermoprotettrici and emollients such as Olive Oil and Shea Butter from organic farming also protects the delicate skin of the child especially in the genital areas. Protective lotion with oils of Andiroba dn Geranium unpleasant to flying insects. Based on oils from plant origin unpleasant to mosquitoes and flying insects. It does not contain chemical repellents. Suitable in case of stay in places with a high density on insects. 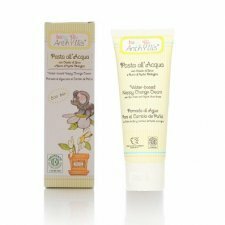 Water-based nappy change cream with Zinc Oxide and Organic Shea Butter. Paste rich in zinc oxide for a repairing action of irritated areas. It prevents the development of bacteria by putting in this way the skin safe from the aggression of urines and faeces. Organic Shea butter and Glycering alleviate and soften the skin.